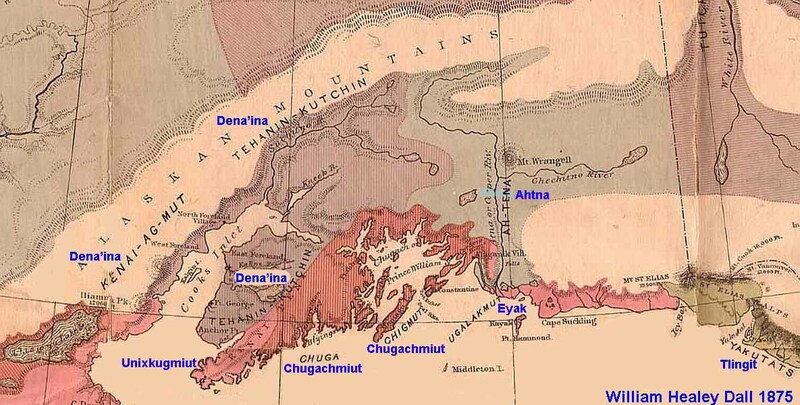 Eyak Territory: South central coastal Alaska. 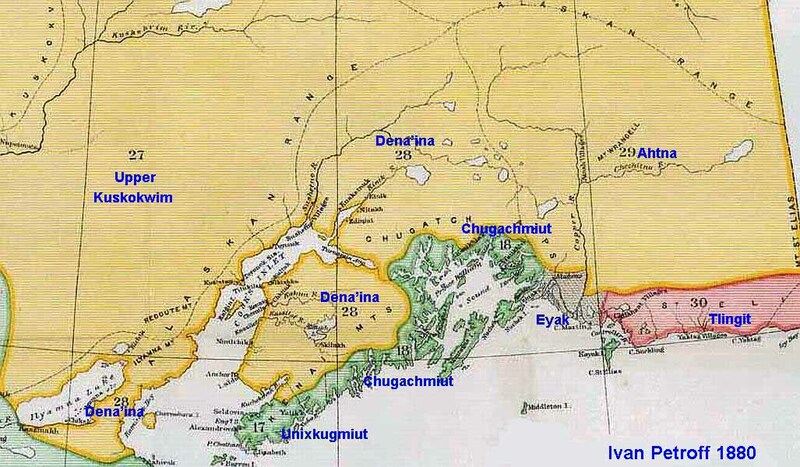 For a long time, ethnographers and map makers misclassifed the Eyak as Yupik and they were named "Ugaiahmute" or "Ugalakmut". During the Russian era, the Tlingit were attacking north and conquering Eyak Territory....thence, Yakatag Clan territory. 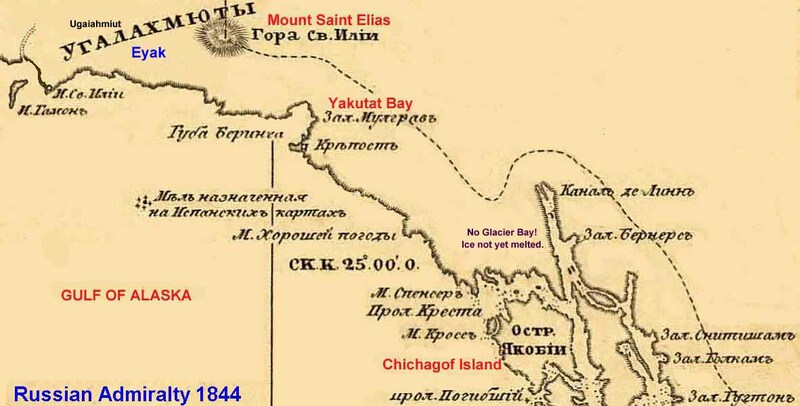 However, this early 1802 clearly shows Eyak Territory extending southward, all the way to Yakutat Bay!